Finland: A winter wonderland where you can ski, drive over frozen lakes and visit Father Christmas whilst observing the Northern Lights. These used to be my first things that came to mind whenever I thought about this pristine wilderness. However, after my recent visit, I now know that Finland is also a brilliant place to spend your summer vacation. The country is made up of thousands of lakes that are mainly surrounded by forests and woods. 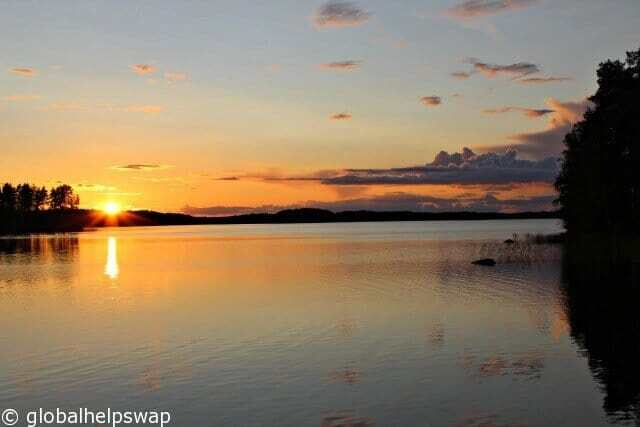 Almost every Finnish family owns a summer cottage where they go to spend a few weeks of the year to reconnect with nature and unwind. This pastime is not exclusive to the Finns though. Many foreign tourists hire summer cottages overlooking the lakes and spend their leisure time exploring the surrounding areas. This is what I did when I visited the Saimaa Region a few weeks ago. Even though I was surrounded by wilderness, there were many things to do in the area. Here is my definitive list of things to do in Finland in the summer. 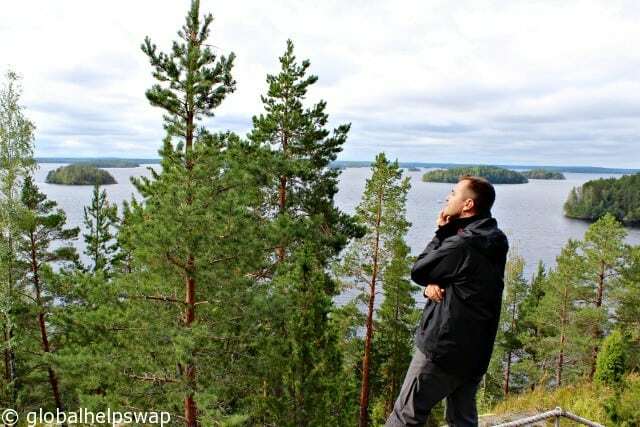 Finland has a superb system of national parks that are perfect for trekking during the summer months. We trekked in the Linnansaari National Park which was spectacular as you can see from the images above. Many of the parks offer camping areas or huts where you can sleep overnight making it easy to make it a multi day trek. I don’t have much fishing experience so I didn’t have much hope when we went out fishing on our 2nd day in Finland’s great outdoors. 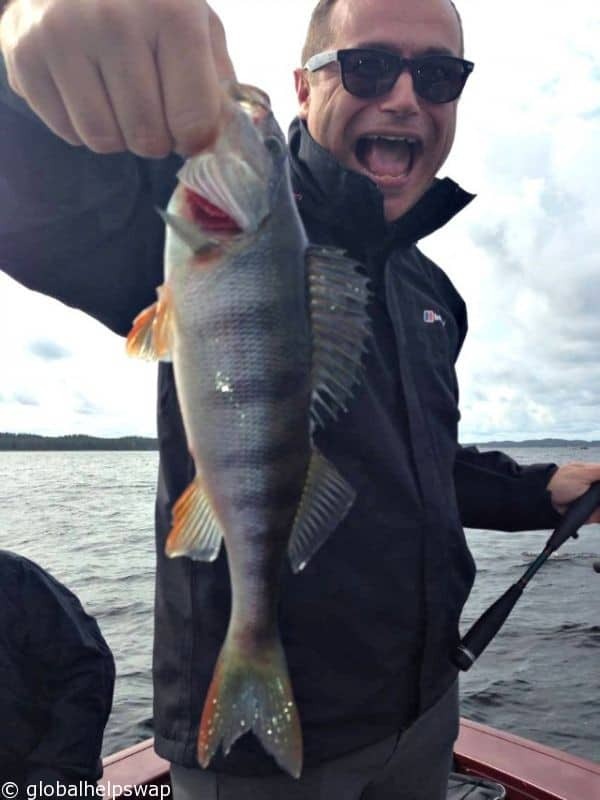 However, I didn’t realize that we were going fishing with Finland’s greatest ever fisherman! * Lo and behold I caught the only fish of the day and it was huge. We put him/her back though as it was not so huge to feed all 8 of us. With so many bodies of water there is no shortage of places to fish. Tourists offices can help you with information on the best areas to fish in. • That’s what he told me. 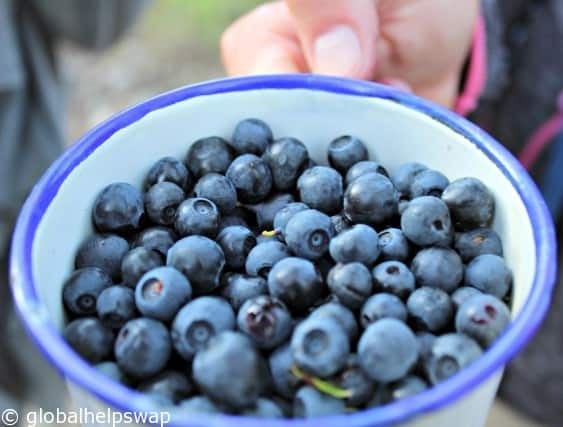 The Finns must be the world’s best foragers. 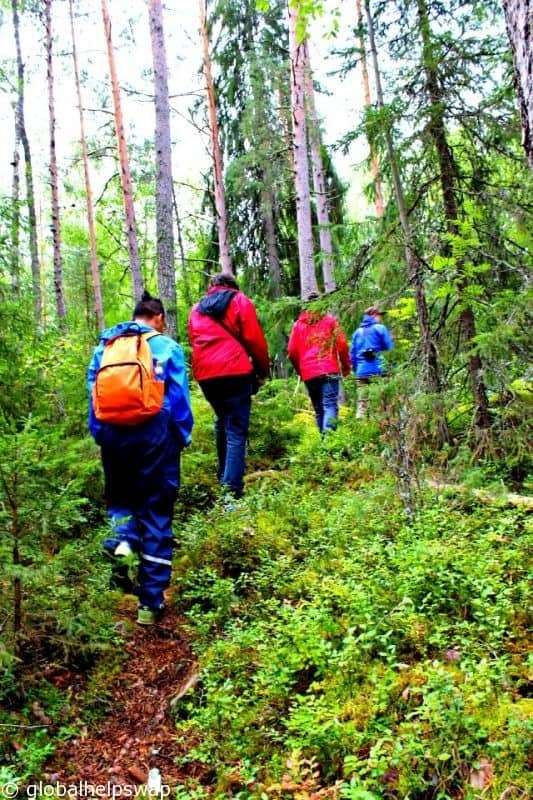 No matter if they were born and raised in a big city like Helsinki, all Finns love to forage the forest for food. 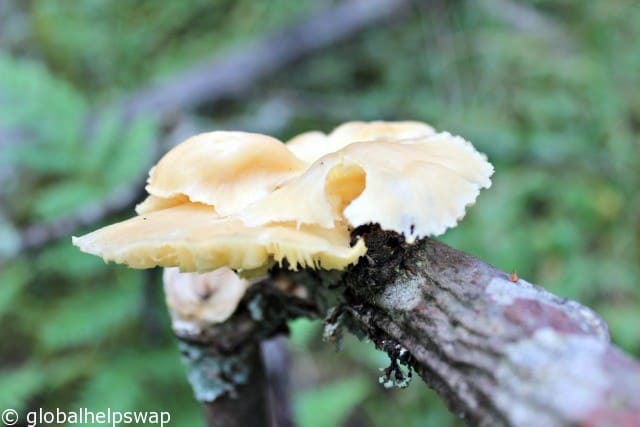 With the forest offering lots of edible mushrooms and a huge choice of berries, who can blame them? If you are going foraging we highly recommend you go with a guide as there are many mushrooms that are poisonous. Did you know the only Finnish word to be in the English dictionary is sauna? I can see why too, as the Finns LOVE their sauna. Almost everybody in Finland has access to a sauna. Most people have one in their home and even in the smallest summer cottage you will find an adjacent sauna. Modern apartments also have communal saunas. This is one tradition that’s here to stay. 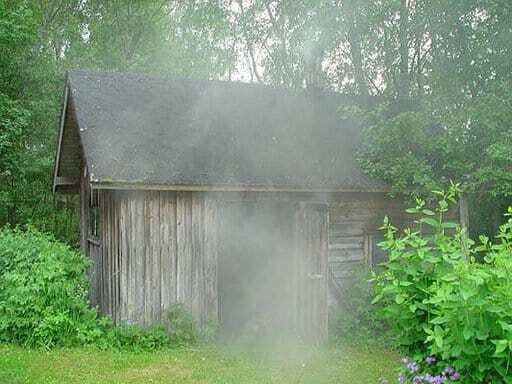 The most popular is the traditional smoke sauna. This is a sauna without a chimney and is heated by burning wood on a large stove. Once the fire is almost dead, the smoke is released through the door but the sauna stays hot for many hours. The smoke sauna was one of the things I enjoyed most on my trip. The Finns make attending a sauna an event. First you sit in the sauna chatting away until you can’t take any more heat. You then run out of the sauna and jump in a pristine lake to cool off. This is followed by drinking some beers before the whole cycle is repeated. A truly a memorable experience. 10% of Finland is water so there are plenty of water based activities to do during the long summer days. We kayaked on Lake Saimaa which is Europe’s 4th largest lake. Rental cottages often have their own rowing boat or kayaks for you to use free of charge so you can explore the local lake and islands. 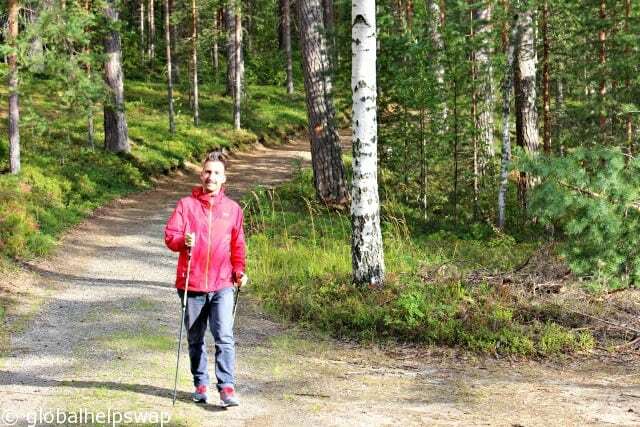 I never imagined that I would ever try Nordic Walking never mind recommending it. After trying it out with one of the original inventors of the sport though, I can honestly say that I am a fan. The sport was originally invented as a training method for cross-country skiers during the summer months. You may feel a little strange at first walking with poles but by having them you include your upper body in the activity and it results in a 20% to 45% increase in energy consumption. After walking for a couple of hours I can vouch that my upper body felt like it had gone through a serious workout. I hope this post gives you some ideas and inspiration for your Finnish travels. And if the activities above seem like too much work for you, you could always just chill on the porch of your cottage watching the world go by. You’ll never get tired of the view. We’d love to hear your thoughts in the comments below. Have you been to Finland during the summer? 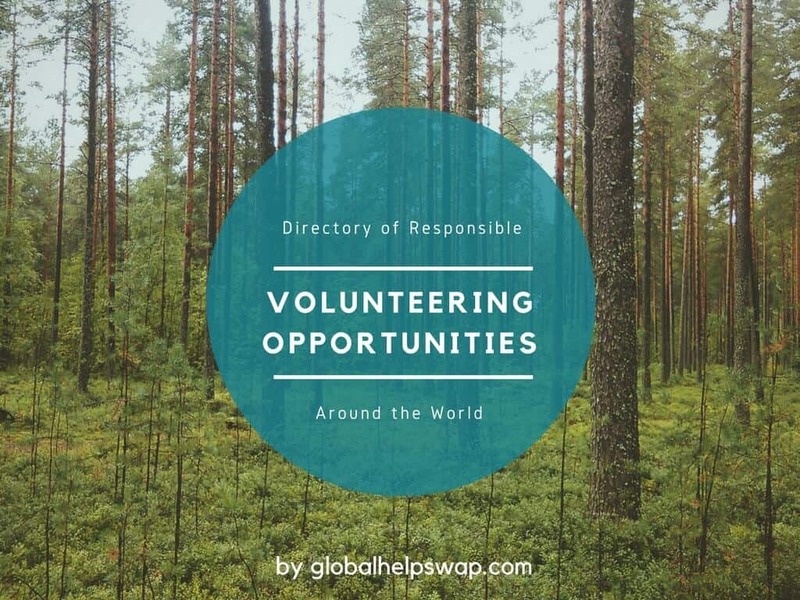 Are there other activities that you would recommend? I’ve spent 3 summers in Finland and I love it. The activities that you present are pretty cool, although I haven’t tried the last two. I would add going to some of the hundreds of outdoor activities (festivals, markets, restaurant day, etc) that are organized throughout the cities. 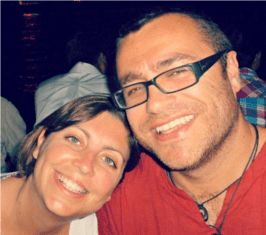 Hi Luli, thanks for the comment and tips! Amazing! We loved Finland in winter, but had no chance to enjoy it during the summer time. Is it true that finnish mosquitoes turn your life into hell? I´ve spend most of my summers in FInland. During summer it´s the place to be, The nature is stunning. Cheers Jossus, we totally agree! Would love to visit Finland, it sounds amazing .